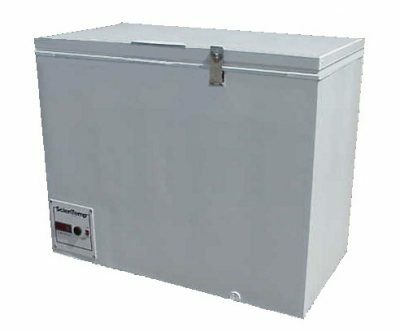 Scientemp offers three different types of chest freezers: Moderate Cold (0C to -34C), Super Cold (0C to -45C), and Ultra Cold (-45C to -86C). CFC Free: All products are manufactured using CFC-free, non-toxic, non-combustible and non-ozone depleting refrigerant. Compressors are permanently lubricated and hermetically sealed. Customized: Most freezers can be customized to meet your needs. Convenient Storage: Rack systems available or customized systems to your specifications. Safe & Economical: Freezers are manufactured using environmentally safe insulation (high-density, non-settling fiberglass or urethane foam).